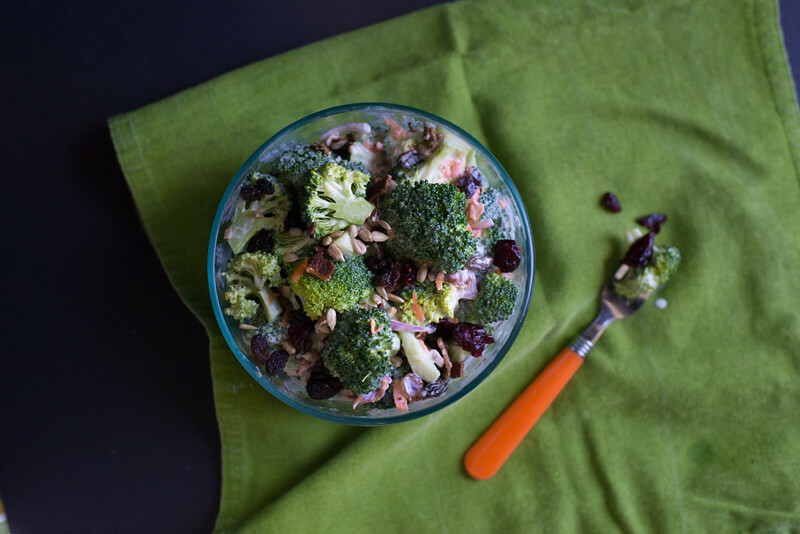 This is a delcious salad that may be a great way to make someone into a broccoli-lover. The sweet and tangy dressing is a great way to win kids over. My friend, nurse Denise (a.k.a. “Dee”) shared this recipe with me. It’s a crowd pleaser, and as you can tell it won the Tiny Tasters over as well. I used “Vegenaise” (a vegan mayonaise substitute) and was able to pack this as a side for lunch the next day I made it (I find it at Wegman’s in the refrigerated area of their health food department). The kids ate their weight in broccoli after I made this! This continues to be a hit in our preschool cooking camps, and is a favorite recipe in our Preschool Nutrition Curriculum. Whisk the mayonnaise, honey, and vinegar until smooth and set aside. Combine remaining ingredients in a bowl. Pour dressing over and stir until coated (not all dressing may be needed).